The Shabbat Project San Diego is a grassroots initiative to bring thousands of people together to keep Shabbat on October 24-25, 2014. San Diego was a massive contributor to this 340 city event that spanned 30 countries. The inspiration was to keep one Shabbat from sunset to stars out. We invited the community to participate by hosting their own dinner, or participating in one of our community events with a goal of Unplugging and Plugging into Shabbat in order to reconnect with family, friends and our community. The San Diego Shabbat Project team was 100% volunteer driven however most of us are creative professionals working in our own field and by hyper compartmentalizing the responsibilities but centralizing decision making we were able to iterate and execute quickly. We had never worked together before, and some of us had never met each other but in less than six weeks we were able to conceptualize, design and execute on a multi-pronged approach. The central points of the plan were the website, print material & flyers and the social media campaigns on Facebook and Twitter. Over 15,000 flyers were distributed, multiple spots on radio & television were secured as well as tens of thousands of online ad impressions to drive registrations. Between 7500 and 11,000 people participated in the event most of them at events coordinated and marketed via the shabbatsandiego.org website. Responsibilities: Creative Director, Facebook Advertising, Google Adwords Advertising & Email Marketing. Leading a diverse group of creative professionals is a challenge in normal circumstances but add in the challenge of a tight deadline, a fragmented audience and a purely volunteer team that only worked odd hours it becomes a logistical juggling act. But as a team we were able to pull it off. Brad is an experienced marketing professional who’s skill cross the spectrum from the creative department through to execution and results tracking. Brad run’s a Google Adwords Agency and helps businesses leverage the power of paid advertising on Google and Facebook to generate inbound leads. For the San Diego Shabbat Project we focused on Facebook engagement and driving event registrations via the website as well as media placement and community outreach. Responsibilities: Website Development, project management. Steve had the keys to the kingdom as it related to the San Diego Shabbat project. He was the main driving force behind the site design and implementation. All website changes and updates were managed by Steve. In the end there were close to 125 pages, profiles and events to handle. Steve setup a system that allowed for rapid development and straight forward site maintenance. It was flexible, powerful and expertly executed.  About High Clarity: The company focuses on the development of web-based software applications – including web site design, e-commerce development, rich web user interface (UI) components, distributed web frameworks, online marketing strategies, search engine optimization (SEO), and custom software application development. Joel is an video professional who handles the A-Z needs of his clients. Not only does he have the technical proficiency and talent but he also has the drive and willingness to make sure that things are completed on time and with a high level of professionalism. One of the highlights was a 6 minute fully edited video that Joel turned around within 8 hours from footage he shot the evening before. The video was shown to over 1200 people at our culminating Havdalah event. Without Jenna we would not have been able to create the unique styling, brand, logo and print material for the San Diego Shabbat Project. Jenna is a full time graphic designer who is able to flourish with very basic instructions and a tight timeline. Her designs showcased her attention to detail, her keen key and her ability to execute under pressure. Jenna single handedly was responsible for the creative direction of the flyers, donor recognition boards and the iconic Shabbat San Diego Logo. We printed over 10,000 flyers, utilizing eight different styles and variations to highlight different events. One of her biggest strengths is her ability to work well with people and to collaborate and iterate quickly. My thanks go out to Jenna for her dedicated professionalism and creativity. Delon is a professional software developer and entrepreneur who’s drive, creativity and dedication helped to fuel the break-neck pace of this project. Delon helped to balance the creative team by adding structure and thoughtfulness of execution to the project. Not only did Delon work on the Facebook, Twitter and Trello tools but he was always following up to ensure that all projects were completed on time by the team. He was a true statesman when it came to balancing the needs and desires of divergent groups and his thoughtful response to tough questions made him a go-to person for the rest of the team. Gil has excellent command of English grammar and spelling with a keen attention to detail. He handled the press release crafting and distribution for the event and when time permitted (and we got him the information on time) he was able to masterfully hone our disheveled words into a cogent composition. Gil’s computer savvy, including mastery of HTML and CSS played a part in the technological foundation of the team. Gil can be counted on at all hours of the day and night to step up and help in whatever capacity was needed. A wordsmith and technology maestro. Laurie was the team member who was added just three weeks before the deadline, but even with this limited timeline she was able to hit it out of the park for the Shabbat Project. Laurie has solid long-term relationships with all of the major media companies, which has enabled her to create successful partnerships for her clients. She insists on a hands-on, one-on-one involvement with each of LMA’s accounts. Once Laurie became involved she focused on rapid-fire execution with pinpoint precision. Oh, did I mention she was out of the country on vacation and was still able shine. Derek is an experienced Graphic Designer with experience with Advertising Agencies, Corporate Creative Departments, and Independent Businesses. For the Shabbat Project in San Diego he worked closely with the Education Committee to create some beautiful and thoughtful handouts. He worked within strict brand and religious guidelines to create some terrific flyers that many of the participants will be using in their own homes for future Shabbat Dinners. Aaron is an all round marketing professional with more than ten years experience in team management, campaign strategy, website design, SEO and social media metrics. 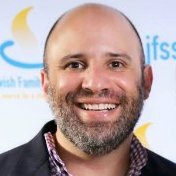 His experience in non-profit fundraising and community outreach were instrumental in helping the Shabbat Project reach it’s goals in terms on engagement and reach.